JOIN AFCYRS FOR OUR ANNUAL SUMMER MEMBERSHIP COOKOUT! 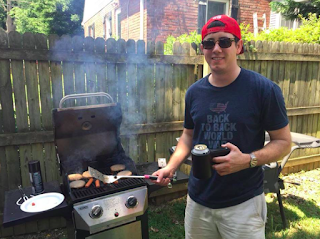 On Sunday, July 24th, the Arlington-Falls Church Young Republicans will host our annual summer membership cookout! To attend, you must be a full or affiliate AFCYRs member — Become a member here. Burgers and hot dogs will be provided, but we ask that you bring a side dish, dessert, or your beverage of choice. You can RSVP for the cookout on Facebook here. WHERE: Upstairs at Hard Times Cafe, 3028 Wilson Blvd. Due to the high level of interest in this meeting, it is open to full and affiliate members of the Arlington Falls Church Young Republicans and the Arlington County Republican Committee ONLY. The Arlington Falls Church Young Republicans elected their 2016 Executive Board at the February Monthly meeting. Outgoing Chairman Matthew Hurtt said, "I am honored for having had the privilege to serve as chairman for the last two years and am confident I'm leaving the club in good hands." Incoming Executive Board members include: Andrew Loposser, Chairman; Brenna Morlock, Vice Chairman; Terry Camp, Treasurer; Emily Larsen, Secretary; and Katie Johnson, Director of Communications. Andrew Loposser is originally from the Old North State -- North Carolina. Shortly after graduating college, Andrew moved to Arlington, where he has lived for 4 years. Shortly after moving to Arlington, Andrew got involved with the Arlington Falls Church Young Republicans. He has worked on several local and national races, including Dave Foster's delegate race and John Vihstadt's Independent bid for Arlington County Board. He cut his teeth in Virginia politics by volunteering tirelessly for Ken Cuccinelli's 2013 gubernatorial bid. Andrew currently works for the Republican Party of Virginia and is dedicated to bringing home a victory in November! Brenna is originally from Michigan, where she worked for the Michigan Republican Party and assisted with both the governor’s race in 2010 as well as the Romney campaign in 2012. Her experience in fundraising and event planning helped the state party raise $13 million in one election cycle. Now with the Heritage Foundation, Brenna manages their direct mail and telemarketing programs. Brenna graduated from Albion College with a degree in political science and she is currently pursuing a master’s degree in fundraising management at Avila University. She resides in Arlington with her husband, Ben. Terry is currently working as a Professional Staff member for the House Committee on Natural Resources. A native of Hyde Park, Utah, Terry has been involved in politics at the local, state, and federal level. Terry graduated in 2011 with a B.A. in Political Science from Utah State University in Logan, Utah. While studying at Utah State, Terry interned for Congressman Rob Bishop (UT-01). Upon graduating from Utah State, Terry worked as a campaign staffer over four northern Utah counties for Senator Hatch’s successful 2012 reelection bid. While working for the Hatch campaign, Terry served as a Legislative District Co-Chair for the Cache County Republican Party, and was selected as one of six Presidential Electors for the State of Utah. Following the Utah Republican primary in 2012, Terry was hired by Senator Hatch's federal office. After working for Senator Hatch for 2 1/2 years, Terry was hired by Chairman Rob Bishop to work on the Subcommittee on Federal Lands staff. Terry currently attends George Mason University, where is he pursing a Master’s Degree in Public Policy. Terry and his wife Kayla live on Columbia Pike in South Arlington. Emily Larsen is a Regional Field Coordinator at the Leadership Institute, where she organizes and trains conservative and libertarian college students to win on campus. She's originally from Albuquerque, New Mexico, where she interned in the office of Mayor Richard J. Berry and volunteered for various Republican campaigns. Katie Johnson moved to Arlington, VA from Wisconsin the summer of 2013 for an opportunity with the Leadership Institute and has been here ever since. 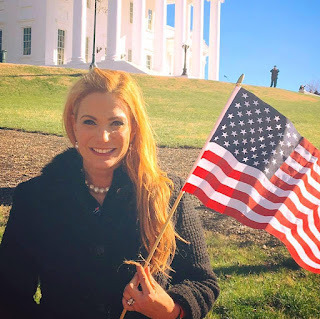 She currently works in digital communications at the National Republican Senatorial Committee (NRSC) and has been active with AFCYRs for the past year. 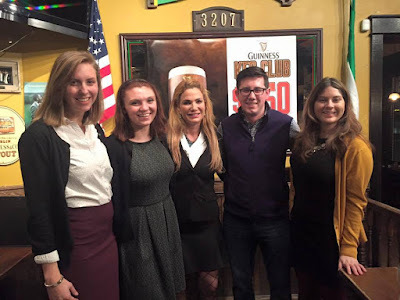 Prior to living in Arlington, Katie served as Secretary for the Wisconsin Federation of College Republicans and worked on various state and local races in Wisconsin, including efforts to reelect Gov. Scott Walker during the Democrats' recall efforts in 2012. Katie looks forward to using her experience and enthusiasm to energize and expand AFCYRs in the year ahead. If you would like to become a member of the AFCYRs in 2016, you may pay dues here. Facebook reminded me today that the AFCYRs elected a slate of passionate, capable leaders two years ago. As I look back on my two years as Chairman, I am grateful for having had the privilege of putting together a great team and working with them to build a vibrant and active organization. I am grateful for past Chairman Matthew Burrow, who helped revitalize our organization in 2012, and I am grateful for everyone I have served with over the last two years: Kaelee Pines, Peter Ildefonso, Lauren Day, Mikayla Hall, Andrew Loposser, Terry Camp, and Patrick South. It has been a tremendous honor to lead the largest and most active YR organization in the Commonwealth, and I am confident that I am leaving the club in good hands. The incoming executive board has a great task: Mobilize hundreds of YRs ahead of the 2016 election and turn Virginia red for our eventual nominee. I look forward to continuing my service in whatever capacity I can and wish the incoming board all the best. 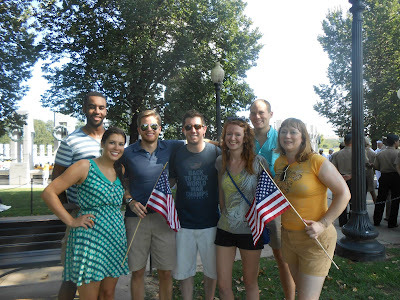 AFCYRs pose after welcoming WWII veterans with Honor Flight. 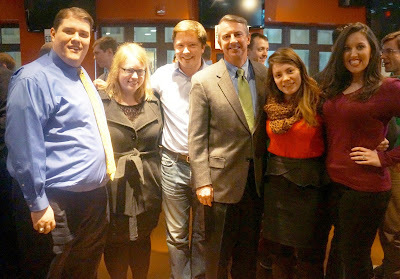 Welcome to the Arlington Falls Church Young Republicans, the largest and most active YR group in Virginia. We are active in local, statewide, and national campaigns, and we've got our eyes on a Republican victory this November. Our members are building a strong foundation to ensure that the Republican nominee for president wins the Commonwealth's 13 electoral votes. And we would love for you to join us. 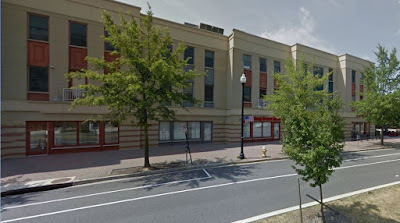 If you're interested in joining us, our meetings are held on the third Monday of the month at 7:30pm upstairs at Hard Times Cafe in Clarendon. Some of our notable speakers have included Americans for Tax Reform's Grover Norquist, Minnesota Congressman Tom Emmer, and former president of the National Rifle Association David Keene. Additionally, we have co-hosted Senators Ted Cruz (TX) and Rand Paul (KY). We aren't only political and social. In addition to campaign work and our monthly meetings, we stay active in the community by hosting community service projects and working with local groups like Honor Flight, the Arlington Free Clinic, Doorways of Arlington, Lucky Dog Animal Rescue, and the Arlington Food Assistance Center for the betterment of Arlington and the City of Falls Church. Like us on Facebook and follow us on Twitter. Sign up for email updates here. You can become a full or affiliate member right here. See you at your next meeting! Join the Arlington Falls Church Young Republicans for our October meeting with Ben Domenech, publisher of The Federalist and media fellow at the Manhattan Institute. Mr. Domenech writes a popular daily subscription email newsletter for political insiders, The Transom, which aggregates news and notes from around the web. Domenech previously served as editor in chief of The City, an academic journal on politics and culture, and as a senior fellow for The Heartland Institute. He also served as speechwriter to U.S. Health and Human Services Secretary Tommy Thompson, and as chief speechwriter for U.S. Senator John Cornyn of Texas, and interned for the White House speechwriting office under George W. Bush. An editor of multiple New York Times bestsellers, Domenech co-founded Redstate, a prominent site described by National Journal as the most widely-read conservative blog on Capitol Hill, and was for several years co-host of a daily center-right podcast, the Sam Adams award-winning Coffee & Markets. His writing has been published in The Daily Beast, Politico, Commentary, Reason, and GQ, and he appears regularly on Fox News, MSNBC, and CNN. He divides his time between Virginia and New York. Domenech has been working and writing on politics and public policy since 1998, when he was appointed by President Bill Clinton as a delegate to the White House commission on Social Security and retirement savings. In 2009 he was selected as a journalism fellow by the Peter Jennings Project for Journalists and the Constitution. In 2014 he was selected as a Lincoln Fellow by The Claremont Institute.